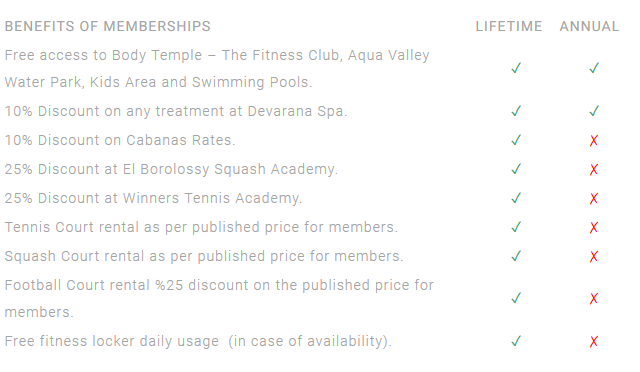 Free access to Body Temple – The Fitness Club, Aqua Valley Water Park, Kids Area and Swimming Pools. 10% Discount on any treatment at Devarana Spa. 10% Discount on Cabanas Rates. 25% Discount at El Borolossy Squash Academy. 25% Discount at Winners Tennis Academy. Tennis Court rental as per published price for members. 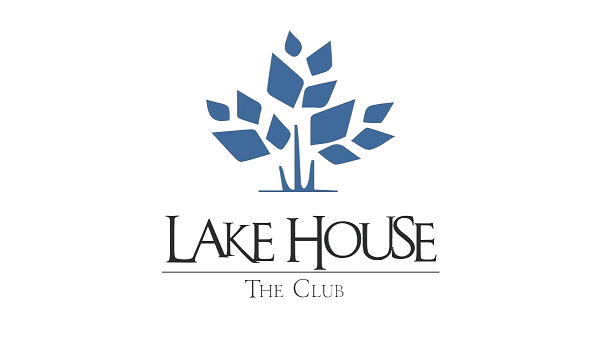 Squash Court rental as per published price for members. Football Court rental %25 discount on the published price for members. Free fitness locker daily usage (in case of availability).